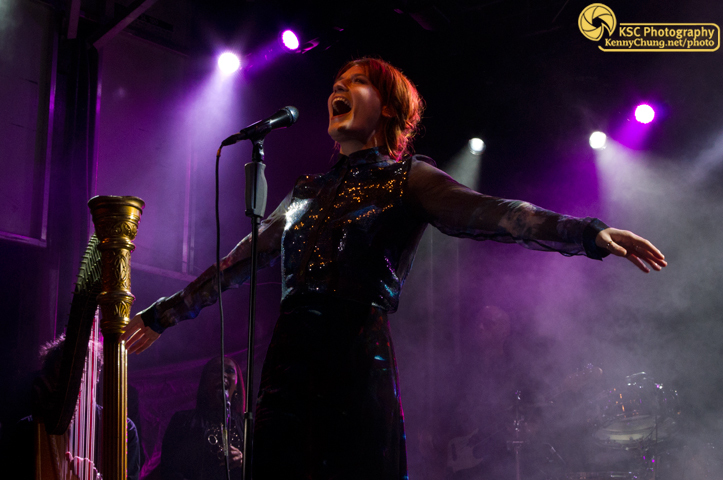 Florence + The Machine promised to play new tracks off the band's upcoming album "Ceremonials" and did not disappoint. 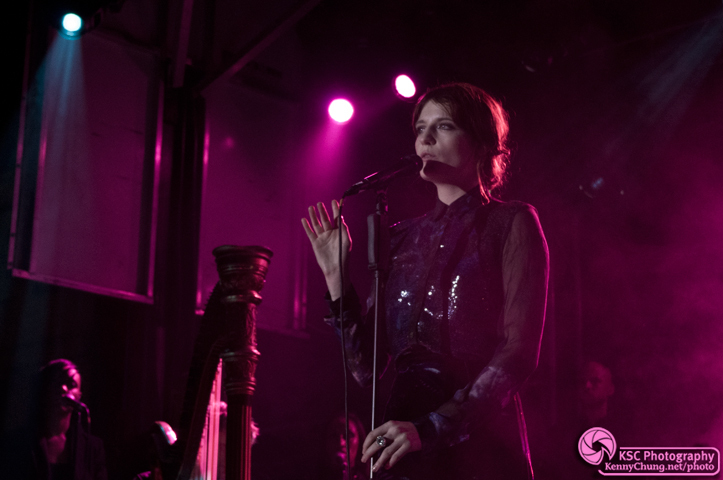 Florence Welch was graceful and gracious as always, explaining some of the major themes of the new songs (no surprise, being hungover was one of them). The full set list can be found here. 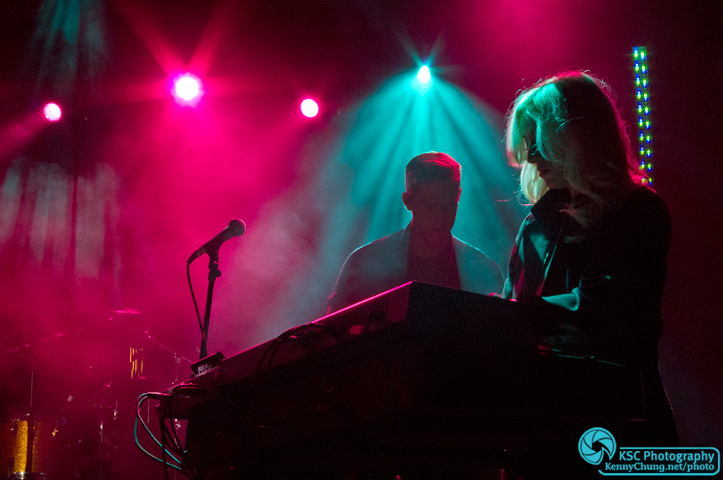 Some older favorites were sprinkled into the set, but it was the louder more percussion-driven sound of the new material that blew the crowd away. Everyone was left wanting more, which made the lack of an encore a bit of a disappointment. All in all, a contender for concert of the year. 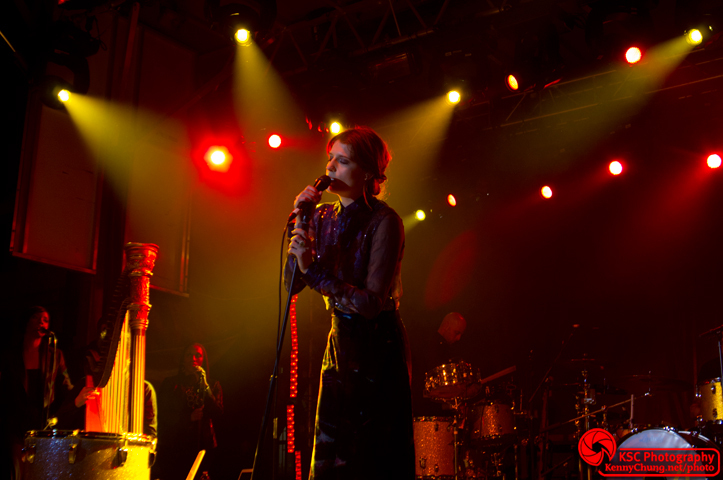 After a long wait, Florence + The Machine took to the stage to much fanfare. 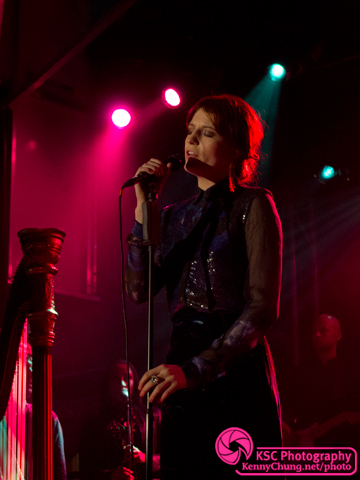 Florence Welch was lovely as always and her vocals were spot-on, even with the more demanding new tracks. Isabelle Summers (Isa Machine) and guitarist Robert Ackroyd on stage. 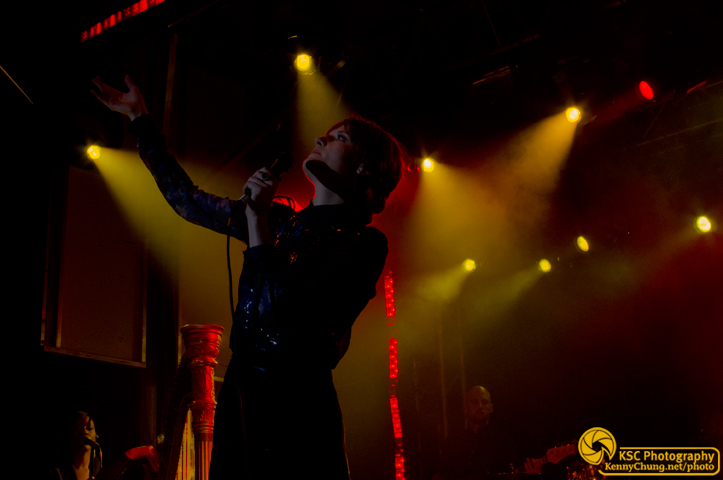 Florence was definitely enjoying herself with the unique Brooklyn atmosphere. 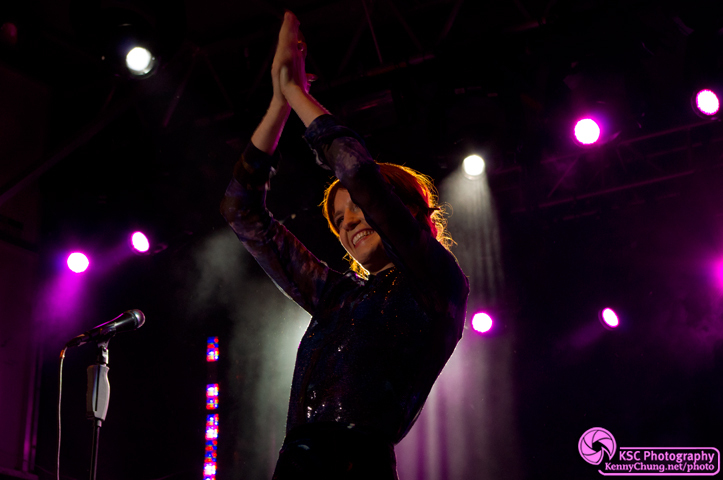 A classic Florence Welch pose. You can see the background singers on the left. They actually added a male backup singer as well. Near the center, you can see bassist Chris Hayden playing a second drum set. This to a much heavier sound for the new songs from "Ceremonials". Florence looking toward the Brooklyn night sky. 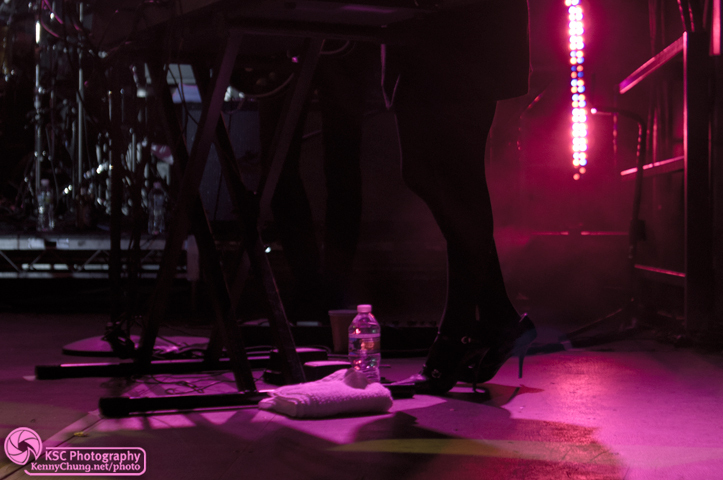 Everyone knew an encore wasn't coming when the lights came on and they brought these guitar and keyboard flight cases out with the FATM logo.